I take Asana, one of the most successful task and project management software, for a spin. Read my Asana review to find out how it ranks. If you’ve heard the term project management, chances are you’ve also heard about Asana. It is one of the most famous project management tools available today, serving millions of users with their task and project management needs. Asana was founded in 2008 by two former Facebook employees, and is valued at over $900 million today. Asana’s focus has always been on keeping things simple, and that is apparent with the simple but elegant UI, some great visuals and animations as well as a concentrated number of features offered, which we will discuss shortly in this Asana review. The ease of use with Asana is a great factor why most teams use it for their project management needs. Onboarding a new team member is easy, since things are not too complex. Switching to Asana from another tool is also relatively easier, thanks to the simple UI as well as the vast number of integrations available to import all your data directly to Asana. 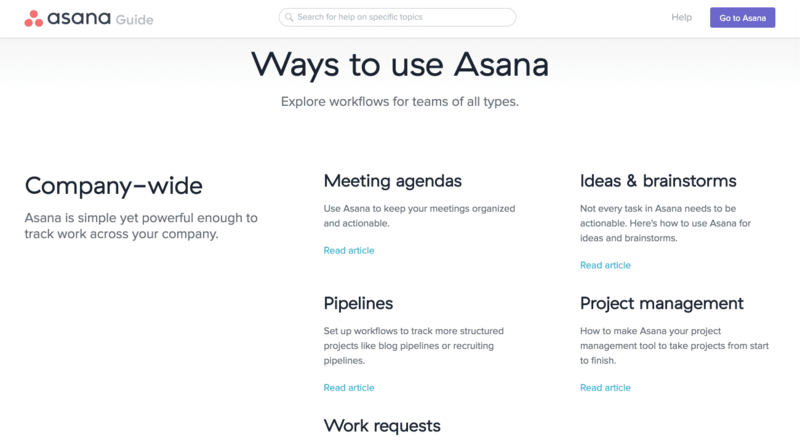 For ease of use, Asana has taken a few steps. First off, Asana uses nifty keyboard shortcuts to save time. Managing tasks, switching views, navigating through the application, and more only requires you to remember a few shortcuts. For a complete list of shortcuts in Asana, click here. For quite some time, Asana has been missing a Gantt chart feature, which was addressed by introducing timelines in Asana. 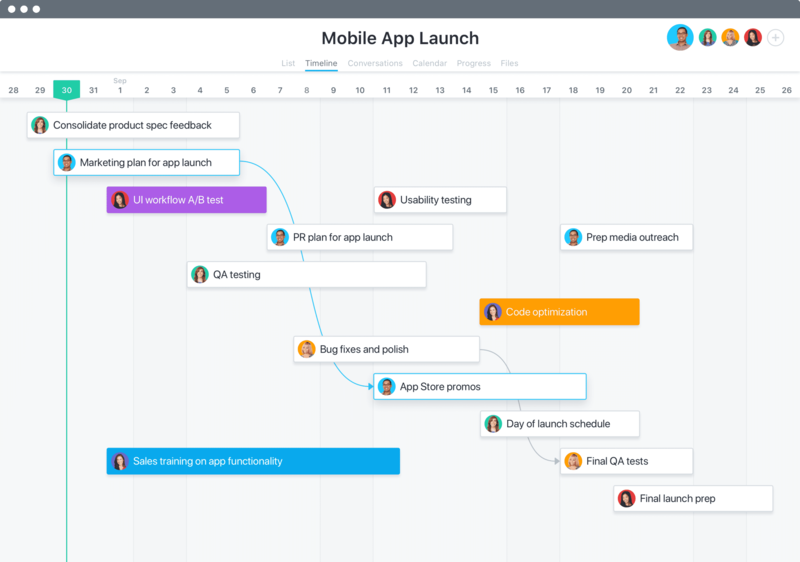 The new timeline making capability allows for you to visualize project plans, create dependencies, establish flows and create a complete Gantt view of your projects in Asana. Another recent introduction is the Portfolios dashboard, which is a single consolidated view of all your projects in Asana. The Portfolios dashboard is only available to Asana Business and Enterprise users, however, considering it is most needed by people who have a lot of projects underway at the same time, this shouldn’t be a bad decision after all. If you’ve signed up using your work email, you can only join an Organization on Asana. With a personal email address, you can join a workspace. That’s the only difference between the both. Projects are initiatives you and your team is working on. Their progress is tracked using sections and tasks, which I’ll explain next. The new Timeline and Portfolios features in Asana both revolve around projects. You can create a visual timeline for your projects, and have a quick summary of all your projects using the Portfolios dashboard. Tasks are things you do in Asana. Tasks can be things that you’re currently performing, things that are soon to be performed, or stuff that is parked for the time being. One thing I learned about Asana while using the app for this Asana review – Asana was principally a task management software with project management features later added to it. Task management is really the core of everything you do in Asana. From creation to management, updates, reporting, and more, tasks are easy to keep track of and things are simple and straightforward. Check out this new project management blog with Agile transformation tips. Additionally, Asana offers an open API. For a complete list of integrations available with Asana, click here. 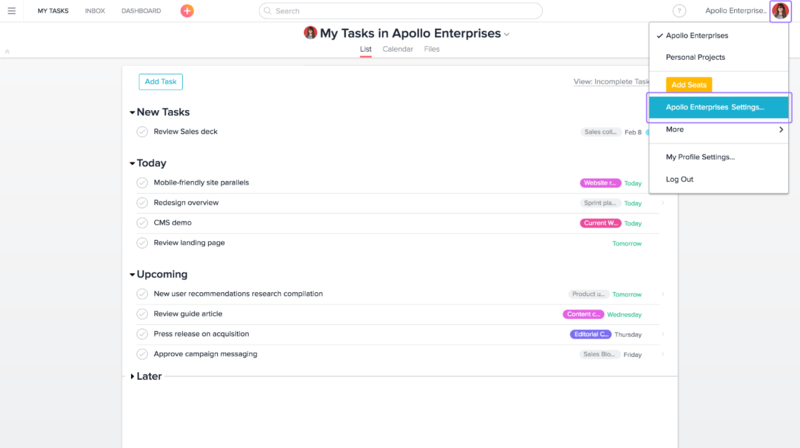 Asana’s Basic plan is suited for small teams, solopreneurs, and freelancers looking for the essential task management and productivity features. Up to 15 members can collaborate using Asana for free with these essential task management features. However, users have been complaining about these limitations, and some even try finding suitable Asana alternatives when they want more comprehensive task and project management while remaining on the Free plan. 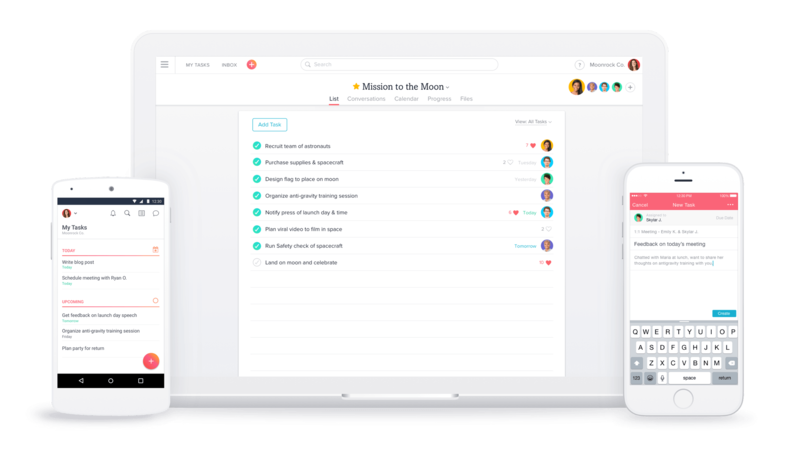 Asana’s Premium plan is for medium-sized and remote teams who wish to collaborate on multiple projects and create project plans. 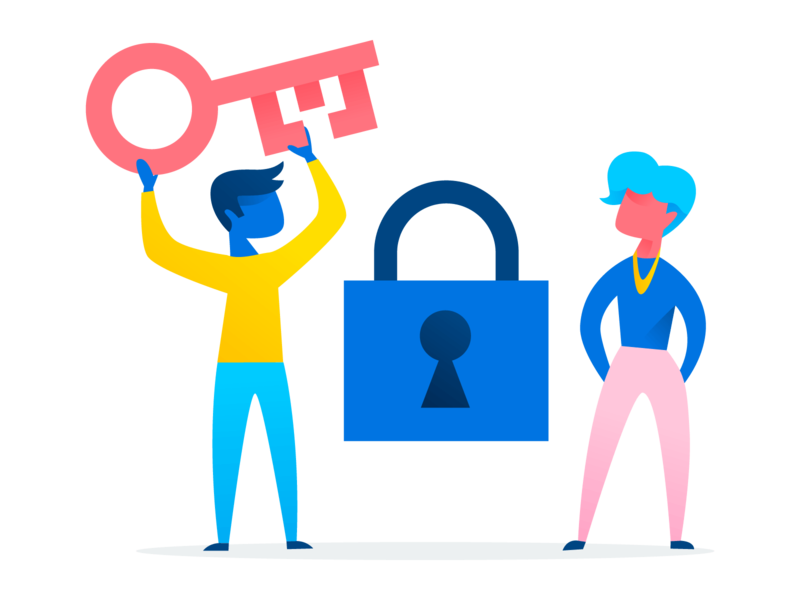 It offers great capabilities for project management, however, the recently introduced Portfolios feature by Asana is not introduced to Premium plan users. Further details on Asana’s Premium plan can be found here. Asana Business plan is a recent addition to Asana’s pricing model. With the Business plan, Asana aims to target large, cross-functional teams who would like to collaborate on a range of initiatives. Which is why the new Business plan by Asana comes with a Portfolios feature. With Asana Portfolios, you can manage all your projects in one place, and stay updated regarding each project’s progress. The new Portfolios dashboard is beautifully designed, and it was a much-needed addition since large teams have a lot of projects underway at one time, and Asana lacked a single consolidated view to manage them all. Further details on Asana’s Business plan can be found here. Further details on Asana’s Enterprise plan can be found here. Direct Customer Support: Questions and concerns that aren’t addressed by the Asana User’s Guide may be directed to Asana via their customer support system. To contact Asana support, click here. Asana User’s Guide: A single, consolidated knowledgebase for all Asana users. The Asana User’s Guide contains video tutorials, written guides, FAQs, user tips and tricks, and other important information. To access the Asana User’s Guide, click here. Customer Success: Paid Asana users get access to Asana’s Customer Success Managers. These are individuals dedicated to bringing paid Asana customers and ensuring their onboarding experience is as smooth as possible. To get in touch with a Customer Success Manager, click here. Twitter Support: Asana often entertains general customer inquiries via its Twitter handle. To leave Asana a message on Twitter, click here. Below is a screenshot for some of Asana’s reviews on SoftwareAdvice. SMEs, startups, and large-scale enterprises, all use Asana to organize work. Asana is an excellent tool that prioritizes simple, stellar design, availability, accessibility and support for a hassle-free task and project management experience. The new introductions for project timelines and a portfolio dashboard to give you a centralized overview of all your projects are great new additions. If you do not have a lot of complex needs and do not want to spend time getting your hands on with a complex task/project management tool, Asana can cater to your requirements. What do you think of my Asana review? Have you used Asana before to collaborate before? How has your experience with Asana been? Let me know in the comments below. You can also use ratings to impact the overall score. So, do leave us your ratings. Thanks for pointing it out, Trayvon. I’ll add that to the features. Cheers! We recently upgraded to Asana premium and the new timeline is definitely worth the upgrade. Very useful in planning our sprints. Yes! Timelines in Asana are beautiful. Thanks for sharing your thoughts, Ed.